Podcast cover art is probably pretty far down the list for any new podcaster getting started. In fairness, there’s plenty to think about when you’re setting up a new show: coming up with an idea, getting to grips with equipment and audio production, maybe setting up a website, getting a media host, promoting the show, and so much more. Thinking about how to design a picture that most people will see at a minuscule size on their phone may not seem that important. But podcast cover art does matter. We all judge a book by its cover – not just in terms of its quality, but also its content. An amateur-looking, poorly-designed cover is a pretty decent indicator of a bad book. Similarly, if you love science fiction and you see a cover with a robot and an alien, well, you know where you are. 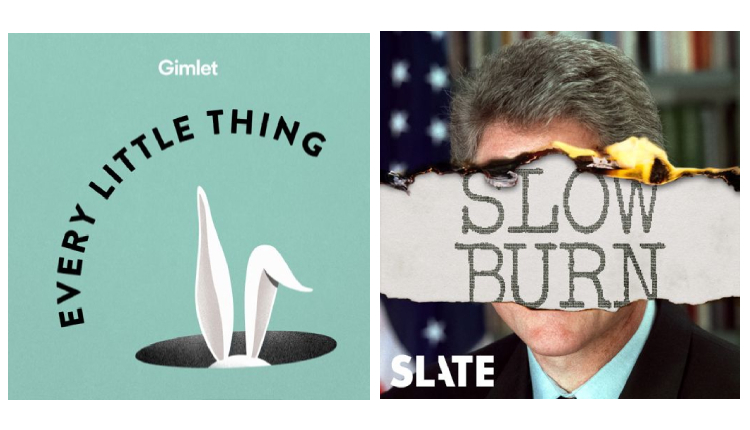 Podcast artwork is the same. Your show might be amateur (after all, the vast majority of podcasters are not professionals), but that doesn’t mean your show has to look amateur. Similarly, when a potential listener is scrolling through dozens of podcasts, yours should standout. It should suggest to the listener what it’s about or what type of show it is. So, where do you start? Art is very subjective. One person’s inspired masterpiece is another’s weird, chopped up cow in formaldehyde. However, there are a few practical details that you have to get right, or your show simply won’t be accepted to the podcast directories. Art is very subjective. One person’s inspired masterpiece is another’s weird, chopped up cow in formaldehyde. The requirements below are for Apple Podcasts, but if you’ve got it right for Apple it should work everywhere and, after all, Apple Podcasts is almost certainly going to account for the vast majority of your downloads. It should be a minimum 1400×1400 pixels and a maximum (and recommended) 3000×3000 pixels, 72dpi, in the RGB colour space. Design on a big screen but check how it looks on a phone. It should be scalable to as small as 30×30 and still work. Basically if it works at the size of a postage stamp, you’re good to go. Don’t put important info (like the name of the show) at the very top or bottom of the image – it may get cut off in various podcast players. Who Is Going to Design Your Podcast Cover Art? In terms of the actual work of designing the cover art, you can do it yourself or outsource it. There are plenty of websites (like upwork.com or fiverr.com) where you can find a freelancer who will design something for you. You will still need to give the designer some guidelines and ideas – “I need some artwork for my podcast about football” is not going to give them much to work with. The other alternative is to just design it yourself, which does not require any major technical skills. You may have some professional photo editing software (like Photoshop) but one of the many free programs will work absolutely fine. Photopea, for example, is an easy-to-use programme that does everything you’ll need it to. Be simple, uncluttered, and easy to read even at a very small size. Be professional looking – make a good first impression! There are plenty of ways to achieve this. 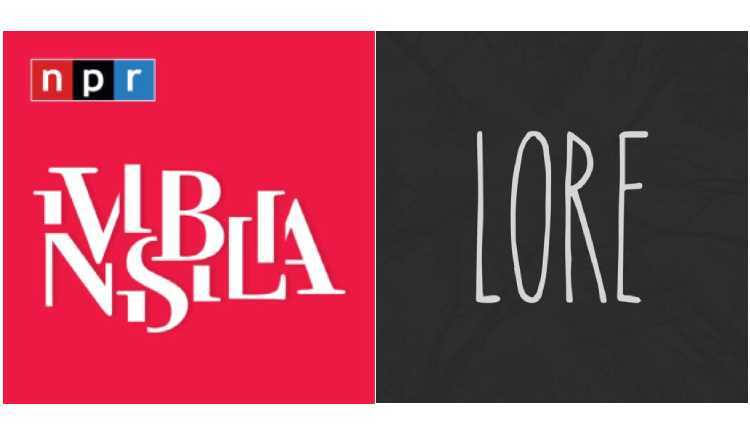 One option is simply the name of your show, but with a well-chosen font and colour. Lore (pictured above) does this in a straightforward but very effective manner. The font suggests the eerie, supernatural feel of the show and the background, which works as plain black at a smaller size is, when viewed on a larger device, actually a forest canopy seen from below. Invisibilia does something similar. When you already know the name of the show, the logo is easily read. Yet when you really look closely the design is far more intricate than it first appears – a little like the complex, almost invisible aspects of our lives the show explores. The Allusionist takes it a step further by spelling out the name of the show with letters from the game Boggle, a nerdy language game that many listeners will recognise. This is especially useful as the name of each episode is then spelt out in the same way, making individual episode artwork very straightforward. What Am Politics? does this too, using the same recognisable background colour with a simple image for each episode. In most cases, you’re probably going to use more than just the name of the show. So, if you’re using a picture, what does it suggest? In the case of Slow Burn, there’s the name of the show and a face which is so recognisable it can be partially obscured. The podcast, like the cover art, is attempting to look behind the surface. Every Little Thing is playful and fun, and goes on intriguing journeys down the rabbit hole of weird and unusual questions. 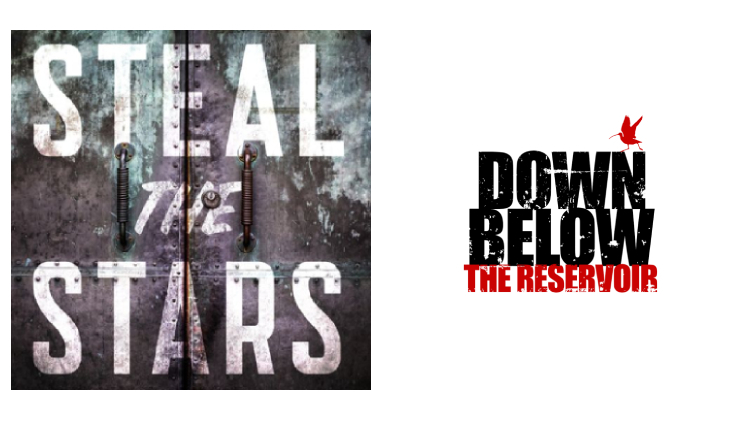 Audio fiction podcasts, Steal the Stars and Down Below the Reservoir, hint at the types of tales they might contain (science fiction and horror, respectively), with well-chosen typefaces and graphics. There are so many other great (and, of course, terrible) designs out there. So go, get inspired, and start creating. 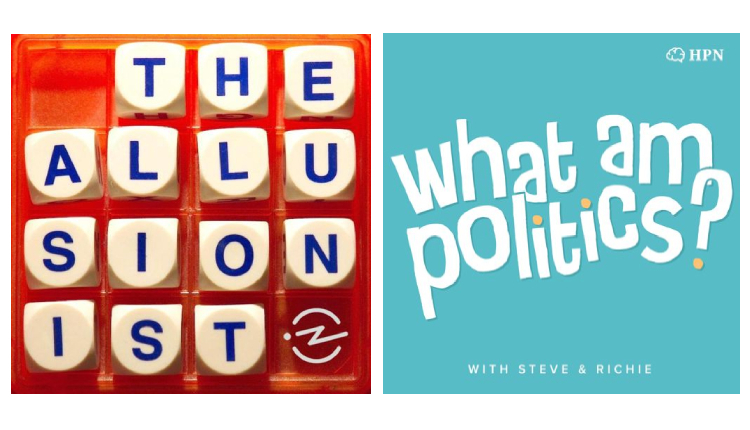 If you’ve been inspired by the What Am Politics? cover art, why not have a listen to the show here?